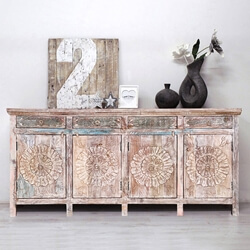 Endlessly intriguing, our Nashville Farmhouse White Wash Reclaimed Wood Extra Long Buffet Cabinet impeccably combines the rustic charm of natural wood with the touch of a master craftsman. 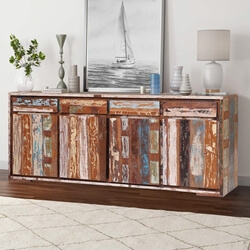 With space to stage, store, and serve, this extra large rustic sideboard cabinet becomes a versatile addition to your dining room, den, office, or entry that helps you decorate your home in ultimate style. 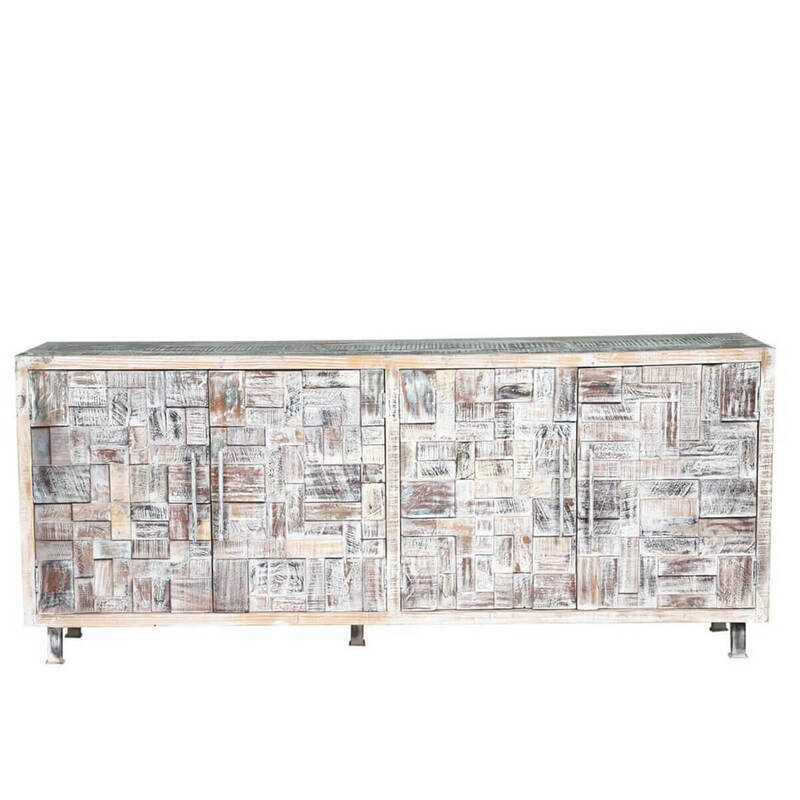 It is the perfect addition for the consummate host, with ample space to present your lavish dinner spread as well as store your collection of serveware behind its roomy cabinet doors. 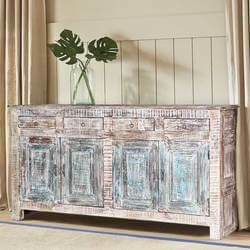 Its gracious size invites all the possibilities for grand and intimate entertaining alike. 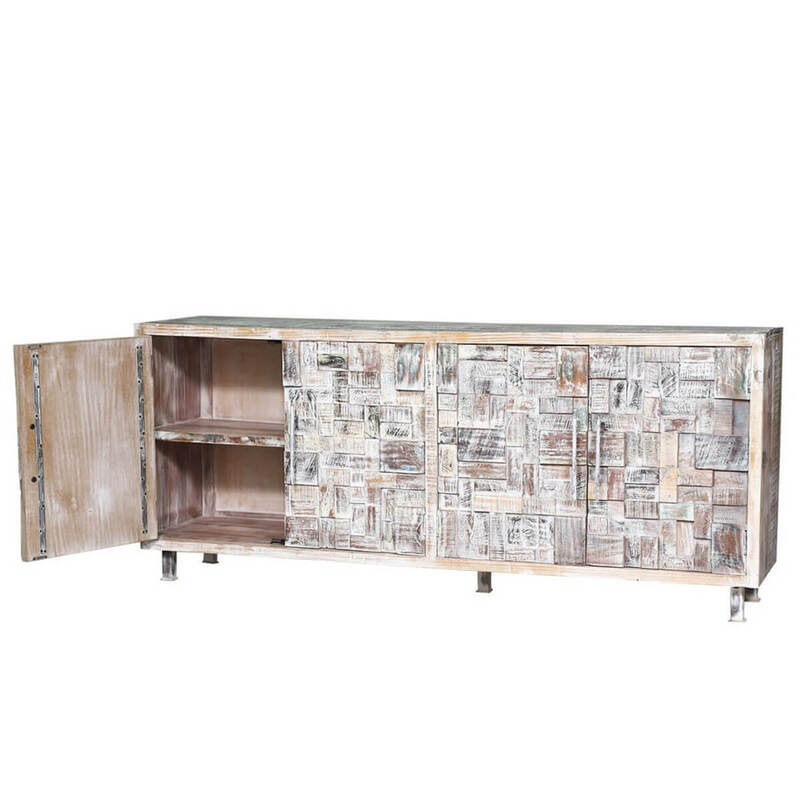 Keep your seasonal dinnerware or hosting essentials organized within this solid wood sideboard cabinet for easy retrieval when guests arrive. 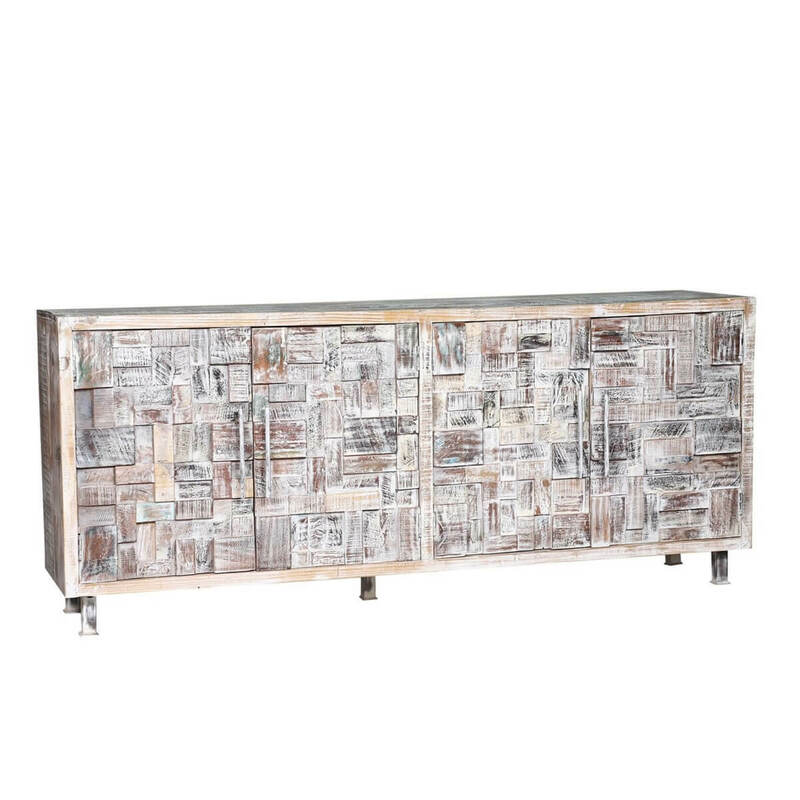 The front doors of this substantial wood cabinet imitate an intricate fitted puzzle that evokes a rich, dimensional flair. 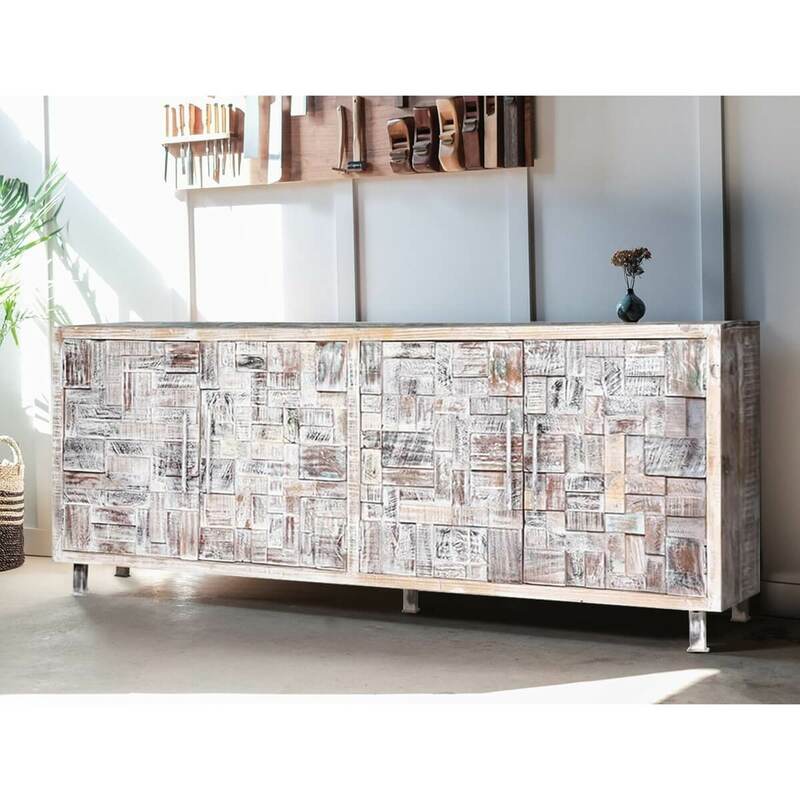 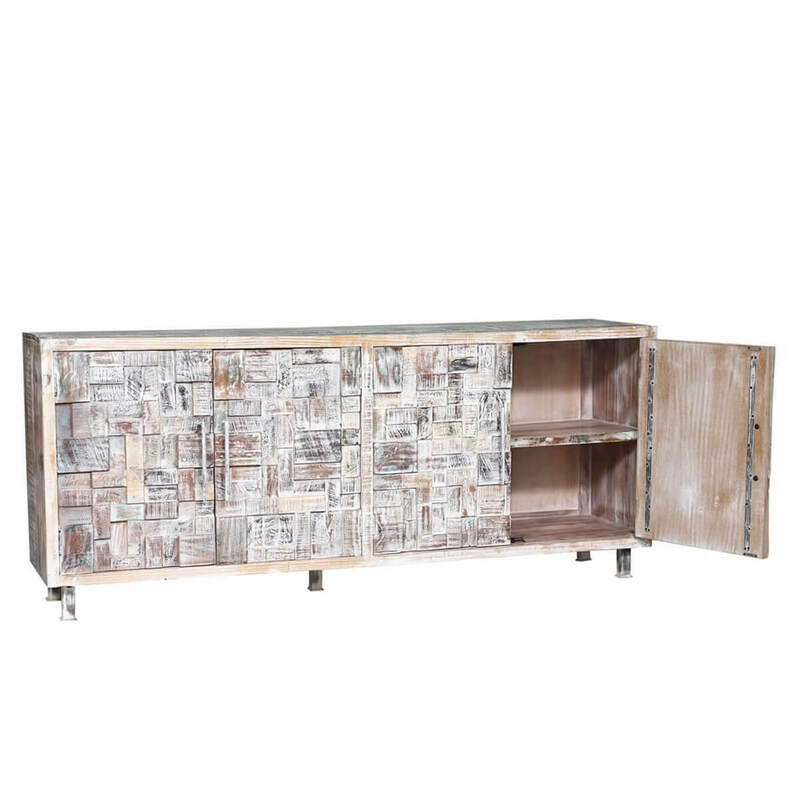 Hand-crafted of solid reclaimed wood, this weathered whitewashed buffet expertly exposes the knots and natural imperfections of the salvaged woods for a captivating, one-of-a-kind statement piece. 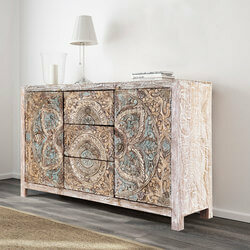 Built from solid wood handcrafted by skilled woodworkers, the intricate design of the fitted wood blocks creates a mesmerizing work of art that is entirely unique. 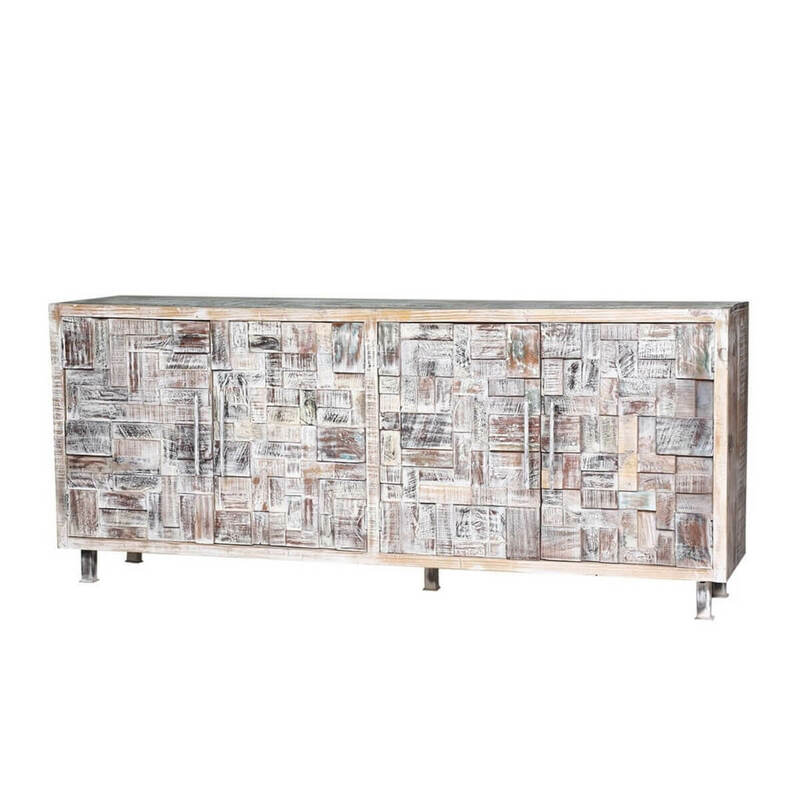 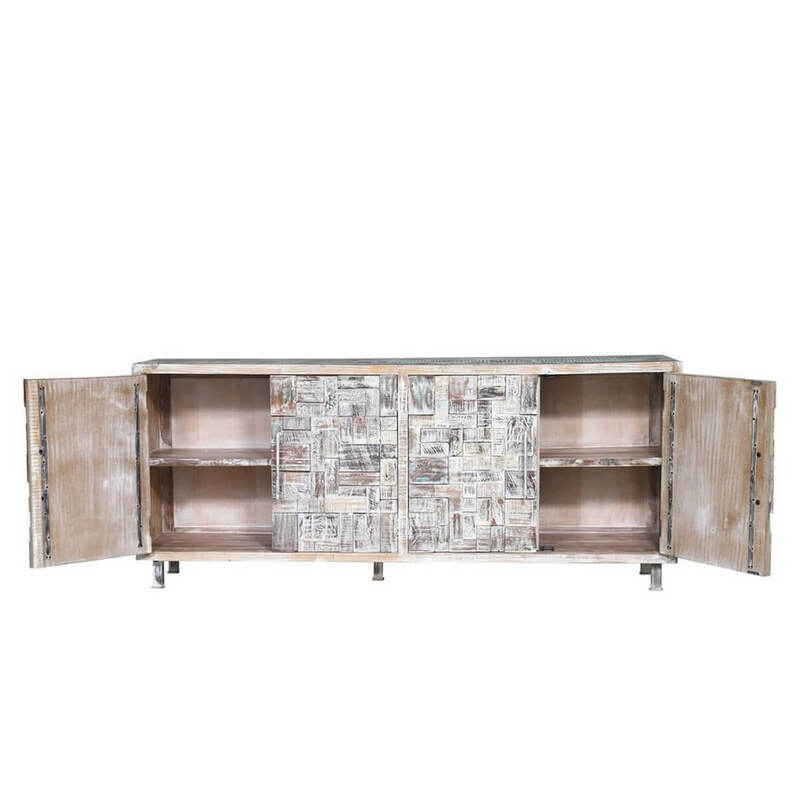 Perched atop five metal legs, this large wooden buffet is designed to complement almost any decor, from rustic to contemporary, and even those with a taste for the exotic.